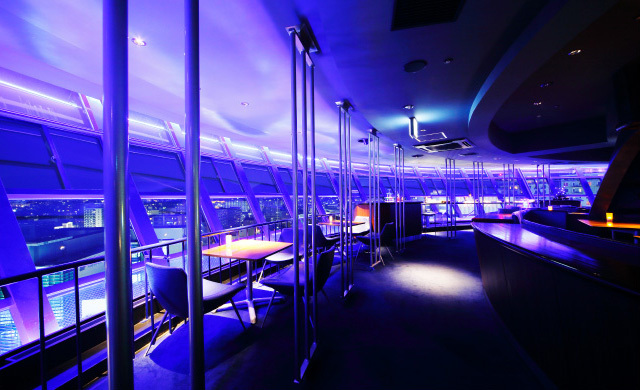 Kyoto Tower Hotel has restaurant TOWER TERRACE, Sky lounge "KUU". The beer garden and BBQ garden are also available for a limited time. Breakfast is served at restaurant TOWER TERRACE, from 7:00a.m. 15:30-17:00 *It's not offered every days. Please ask the restaurant. At VENISIRO, a full course fine dining restaurant, guests can enjoy Western haute and Japanese kaiseki cuisine while leisurely relaxing. 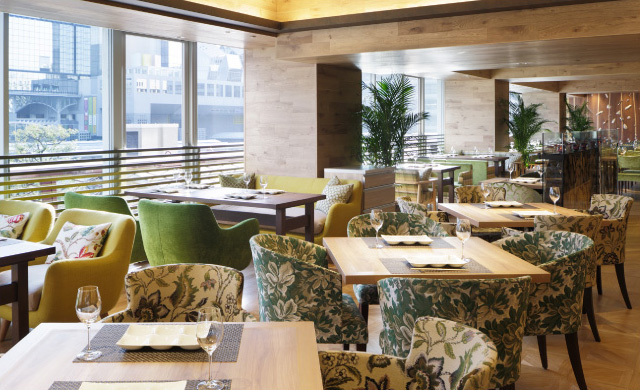 A Café & Bar with draft beer and tea time service is also available. *It's open from 12:00 only weekends and holidays. *The smoking section opens at 18:00. Beer Garden is open on the 10th floor of Kyoto Tower Building only during summer. 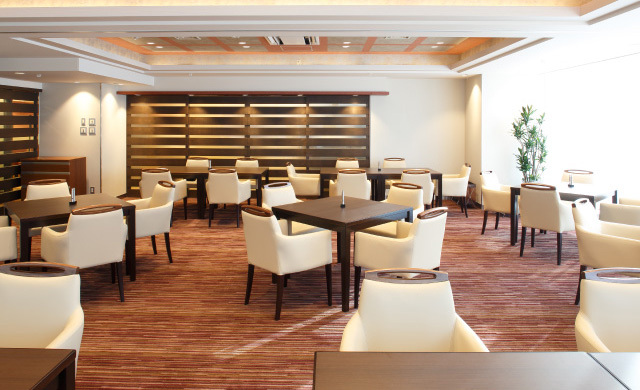 It offers all-you-can-eat food and drinks while providing a nighttime view of Kyoto Tower and Kyoto Station. 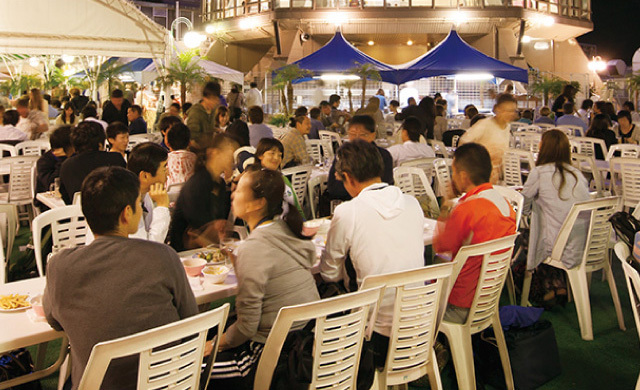 Enjoy the open atmosphere of this rooftop beer garden. BBQ Garden is open on the 10th floor of Kyoto Tower Building only during summer. Enjoy this fully stocked BBQ while looking at a nighttime view of the lit-up tower and the Kyoto Station building.